Connected with my teaching, have been working on a catalogue of a few books that — from current perspective — have mattered to me over the years. 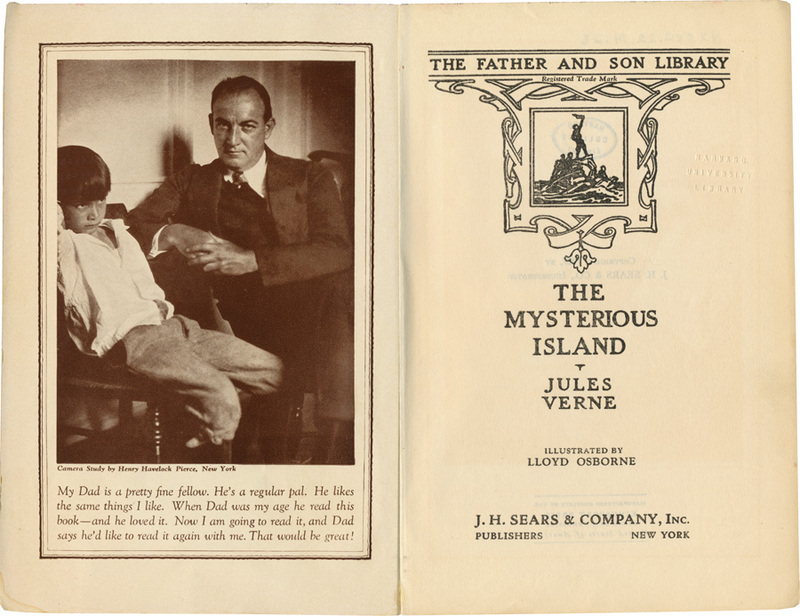 Jules Verne’s The Mysterious Island is one of these, although not this (1927) edition, but rather the Simon & Schuster edition illustrated by N. C. Wyeth. I read it several times. Pardon this somewhat random post, but can’t leave unremarked the series title and the caption language shown above. My father enjoyed this book; both of my sons read it too, although in a more recent translation in which the engineer Cyrus Harding — as I knew him — is Cyrus Smith (as Verne originally styled him). More on the book at wikipedia. On the photographer: Sadakichi Hartmann wrote an appreciation of Henry Havelock Pierce in The Photographic Journal of America (April 1915).